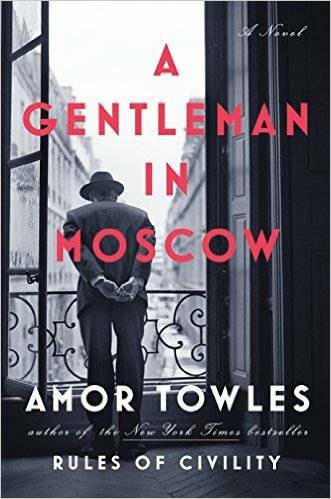 A Gentleman in Moscow, Amor Towles’s best-selling 2016 novel, is going to be a TV series, and Kenneth Branagh has signed on to star in and produce the adaptation for Entertainment One TV. Though the series hasn’t been picked up by any networks or platforms yet, I for one would watch the heck out of it. A Gentleman in Moscow is set in Moscow’s famous Metropol Hotel after the Bolshevik Revolution. At the beginning of the novel, the main character, Count Alexander Rostov, is sentenced for his excesses as an “unrepentant aristocrat” to house arrest in the lavish Metropol where he already makes his home. Through Rostov’s witty, erudite, and increasingly empathetic eyes, the reader sees the changes Russia undergoes across the decades that follow the revolution. He befriends a little girl who grows into a woman. Time passes, things change, but for Rostov, the small world of the Metropol largely remains the same. So I am more than excited to see A Gentleman in Moscow on screen. I’m doubly excited for Kenneth Branagh to play Rostov. If you recognize him from nothing else, you will certainly know this long-time Shakespearean actor as Gilderoy Lockhart in the movie adaptation of Harry Potter and the Chamber of Secrets. I can definitely see him as snobby-in-a-good-way Rostov, so I’m sure when this adaptation finds a home, Branagh will not disappoint. Tom Harper, who directed Peaky Blinders, will direct this TV adaptation.